Hearing women complain about their boyfriends is a very common thing nowadays. No matter who the female person is, they will have at least one thing to complain about regarding their boyfriend. But that does not mean they don’t appreciate their boyfriends. There are moments when these women are glad that they have a guy in their lives. Not sure what I am talking about? Well, here is a compiled list of reasons why females are thankful to their boyfriends. Feeling down and need a little ego boost? 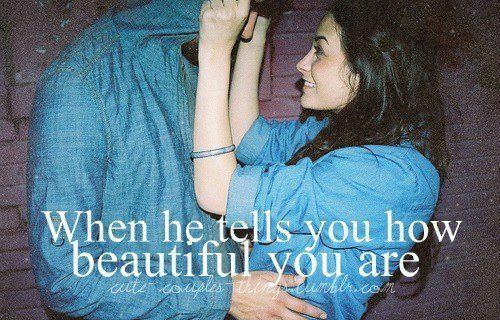 Well, your boyfriend is there to tell how pretty you are. In fact, if you ask him to tell you nice stuff, he will say it immediately. And the best part is? He means it every time.